Today, the Piedmont denomination offers a considerable variety of typologies, both through the number of vines that can be used for the most part natives, both through the possibility of producing wines, representing at best and with different nuances such a vast area of production. 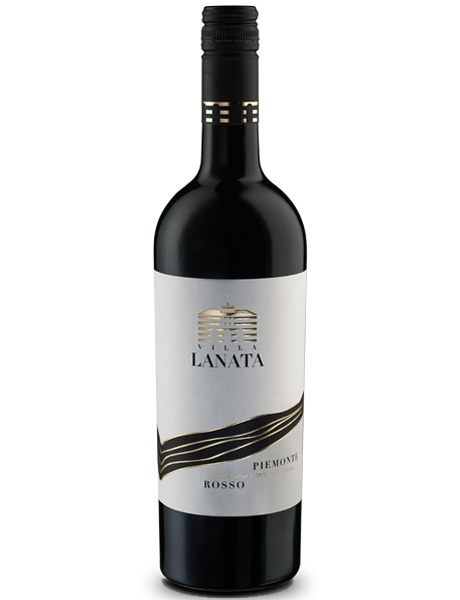 Villa Lanata Piemonte Rosso is a blend of Barbera, Merlot, Dolcetto and Nebbiolo from Langhe. After the harvest it comes the destalking, soft pressing, follows a fermentation into Inox still tanks for 15 days to a temperature of 25°C. Followed by the malolactic fermentation. The wine aging in still tanks for 6 months before bottling. For all step nothing is neglected; everything is done respecting the tradition but with the most modern methodologies and tools. Intense red colour with a perfume red of ripe fruit and slightly spicy. Taste full and harmonic in the mouth. Great with appetizers; any pasta dish, meat and cheese.